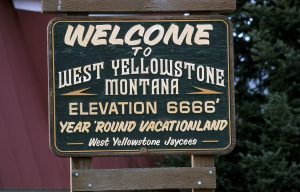 West Yellowstone is about one hour and forty five minutes away from Idaho Falls, where I work at The Group Real Estate. One of the most beautiful outdoor places to go around here. West Yellowstone is a small town just outside of Yellowstone National Park, making it the perfect spot to stay, to tour, to see, before going into the National Park. The town is separated into two parts, there is a residential part and a commercial part. The town does have one school, serving kindergarten through the twelfth grade. The population isn’t huge, just under 2,000 people, as it is mostly a tourist town. Now as I go forward in this blog, my intention isn’t to point you in the direction of living there, but why you should, indeed, go and visit! 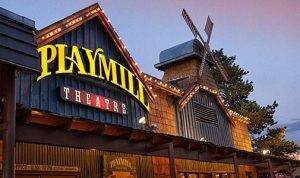 The first thing you need to do when you go there, or rather schedule to go there, is go to a show at the Playmill Theatre. Unlike most theatre productions, this one is more hands on, audience friendly, where you have so much interaction with the cast, it is acceptable for all ages and it has a wonderful atmosphere. They will sing songs with you to start. At intermission, the actors are there selling goodies and treats. Right away after you are done, there is a meet and greet with all the actors. You have multiple ice cream shops right close by that you can go to afterwards, serving all styles of ice cream. This is, hands down, the best place to go in West Yellowstone. There may be a little bias in my paragraph here. If you are at all interested in the wildlife that resides in Yellowstone National Park, the next place to visit is the Grizzly and Wolf Discovery Center. Everything you need to know about Grizzly bears and the wolves that reside within the National forest, is right here at your fingertips. It is an outdoor center, which is perfect to not give you that cooped up feeling that some museum type places can give you and they make sure that the animals are cared for and taken care of here. Its a wonderful place to take your children and has a lot of fun information. Plus it isn’t too big and doesn’t require a lot of walking around, so you aren’t fighting with your kids. Next on the list, which will cost you about $80 to get in, is the Zipline Adventure Park All Day Fun in West Yellowstone. There are rope challenges here and courses that you can try multiple times over. You are able to come and go as you want throughout the day. Ages 6 and up for the zipline and rope courses, making this a wonderful spot to go with your children, but a lot of fun as adults, as well. 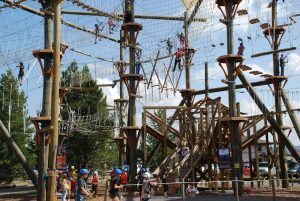 There are 49 different rope courses to challenge you, reaching heights of about 50 feet and going along for more than a thousand feet of cable, over four different zipline courses. There is also a junior rope course available for ages 4 and up (which is an additional cost), small children can visit the Yellowstone Mining Company to pan for arrowheads, fossils and gemstones. There is endless amounts of outdoor fun to be had in the park, from ATV and snowmobiling. You can also pay to do multiple types of bus tours through the park, whether it is just a nature hike, or wildlife tours. 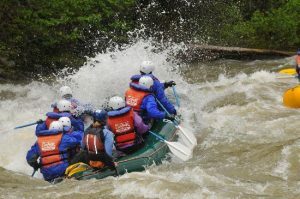 You have the ability to go river rafter and tubing, there are back country snowmobile adventures, as well as ATV trails in the right weather. You can visit the Yellowstone Historic Center to learn the ins and outs of West Yellowstone and Yellowstone National Park. There are horseback riding tours, walking tours, ski and snow tours, and Historical and Heritage tours. There is an IMAX theater there that shows great Yellowstone featured films, but also shows the newest and best in movies that are appropriate on the IMAX screens. If you want to be a bit more extreme there are helicopter tours of the park, as well. One of my favorite parts is to just walk “main street” of West Yellowstone. There are a lot of shops, candy shops, ice cream parlors, clothing areas, and specialty shops to just walk in and out of, to buy fun trinkets and yummy candies. And for the night life there are bars and clubs, as well as great restaurants. 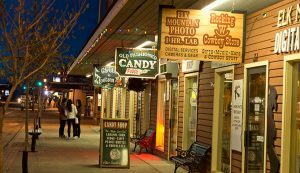 If you are looking for a great place that hits all the senses and gets you “out of town”, West Yellowstone is the perfect place to go!